Did the action genre in anime fare well in 2017? Every year, there is evidently no shortage of good titles for the action genre. 2017 was no exception! There were quite a handful of breathtaking action anime, but I must choose only five to carry out the will of the honorable genre. The good thing about anime shows of the action genre is that they don’t require much depth and focus. Go all out with the thrill-invoking movements and maneuvers and everything is fine and good. Add some non-essential depth and focus and you get an olympian of a show! Without further ado, here the best action anime of 2017! Try to get a glimpse of them all and you’re sure to experience a magnitude of exhilaration like you’ve never experienced before. Oh, by the way, if there are some amazing titles from 2017 that you wish to add, just drop them on the comments section. It’s fine now. Why? Because Boku no Hero Academia (translating as My Hero Academia) is here! If you were desperately wishing for the second of season of this anime to show up quick after its first season ended way back in 2016, then I’m sure that 2017 made you jump in glee. And as expected of this quirky anime, it carried on its phenomenal hype even more! 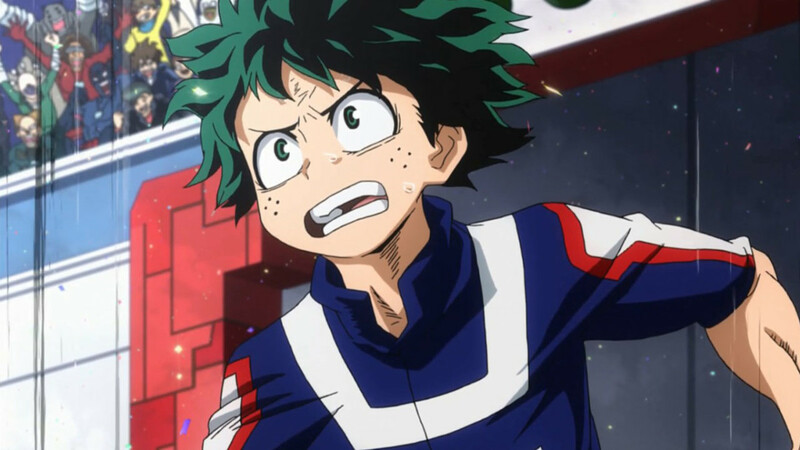 Boku no Hero Academia may be a shounen anime, but it’s far different than most of the mainstream ones. I say with a confident demeanor that this is, in fact, marvelously one of the best shounen anime of all time—not just 2017! I keep throwing the word “shounen” around like this isn’t about “action” but rest assured that we’re getting closer there. After all, this show is nothing without the exceptional degree of action in it. In this show, the characters don’t merely act mindlessly. They think and strategize—especially the main hero, Izuku Midoriya! This, in turn, gives the action aspect a lot more life than what everyone is used to. Add some lighthearted moments, drama, inspiring values, and the usual shounen tropes, and you’ve got an anime like no other! Lo and behold, Dragon Ball Super made it to this list! But why exactly is it here? Don’t protest just yet because I have good news for you: Dragon Ball Super made great progress in 2017! By progress, I meant that this show finally turned its steer the better. Despite its weak start, it suddenly gained momentum with its brand new arcs—most especially the “Universe Survival” arc. 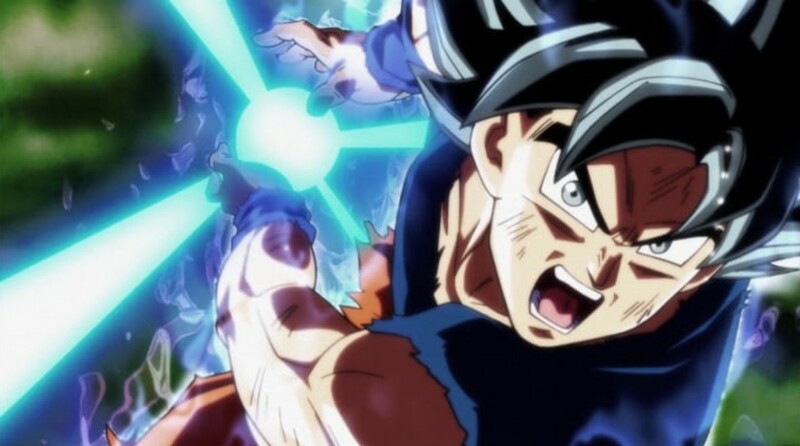 For some reason, Dragon Ball Super is starting to feel like Dragon Ball again. It’s beginning to take the spirit-form of the classic show a lot of people loved a few decades ago. Its art and animation have improved a lot. Its story is becoming interesting more than ever. As for the action, it’s all coming in like a gigantic kamehame wave. I’m not just hyping Dragon Ball Super right here. If you give it a chance right now, you’ll see that its hype is the real deal. As one of the greatest action anime in existence, Dragon Ball Super proves that no matter what age, it will always be relevant and esteemed. Houseki no Kuni was quite literally one of the most lustrous gems of 2017. If you are lacking knowledge as to what it is, then I won’t blame you. 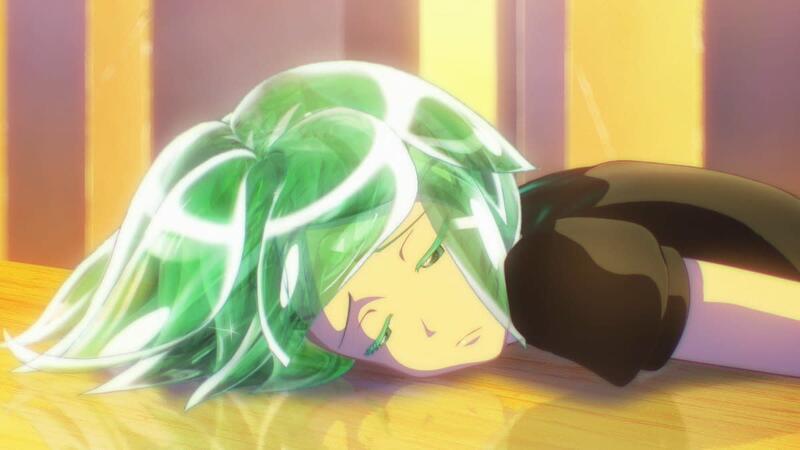 Despite clearly being an outstandingly brilliant gem, Houseki no Kuni was buried deep underground. It was unseen by many due to the absence of initial hype. Luckily for you, you’ve stumbled upon a great discovery! Merely seeing this title here gives you the rare chance of witnessing what distinctly is—an extraordinary uncovering! In Houseki no Kuni, we explore a vibrant world that is tightly enwrapped by an eerie circumstance. Glistening creatures known as Gems are the primary sentient race of the planet. While they are virtually immortal, they are small in number. Furthermore, they all live on a small patch of land surrounded by oceans, as well as six dreadful moons. Every day, the Gems find themselves locked in a merciless clash with the mysterious moon creatures only known to them as the Lunarians. Fight and they get to continue their enigmatic existence. Yield and they get caught by the Lunarians and forcibly turned into crestfallen artifacts. As an anime made entirely of CGI, Houseki no Kuni is undeniably one of the best CGI anime to date. That being said, as you behold this show in front of you, the only word you would be able to mutter is: “Spectacular!” Its visuals, as well as its animation sequences and execution, are unbelievably flawless! As an action anime, this show is a mesmerizing eye-candy that can’t help but beautifully unfold right before your eyes. This anime not only deserves its name; I would even go as far as to call it one of the most lustrous anime in existence! Who would need anything else from an anime if it already possesses high concentrations of pure action? Taking that into account, I would be pleased to share to you one of the most howling action anime of 2017—Juuni Taisen! 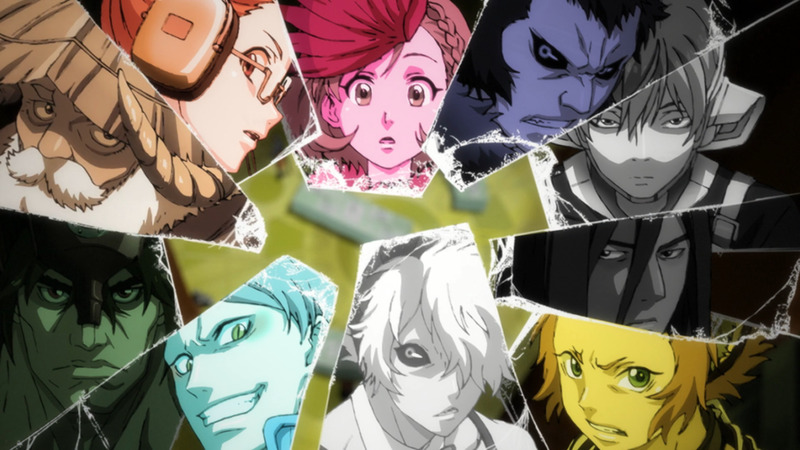 The story of Juuni Taisen revolves around 12 zodiac-based warriors who were summoned to participate in a grueling fight to the death in a survival battle called the Zodiac War. The stakes are high and the only option for everyone is to fight and be hailed as the undeniable victor who gets to claim a wish of his or her own choosing. Each warrior has a unique set of strengths and weaknesses. With everything fair in love and war, only time can tell who among them deserves to become the champ of the Zodiac War. Juuni Taisen is purely an action anime! It doesn’t care about anything else. Everything besides its action aspect is decent at most. I’m not saying it is not a good show, I’m saying that the action in it outshines everything else. 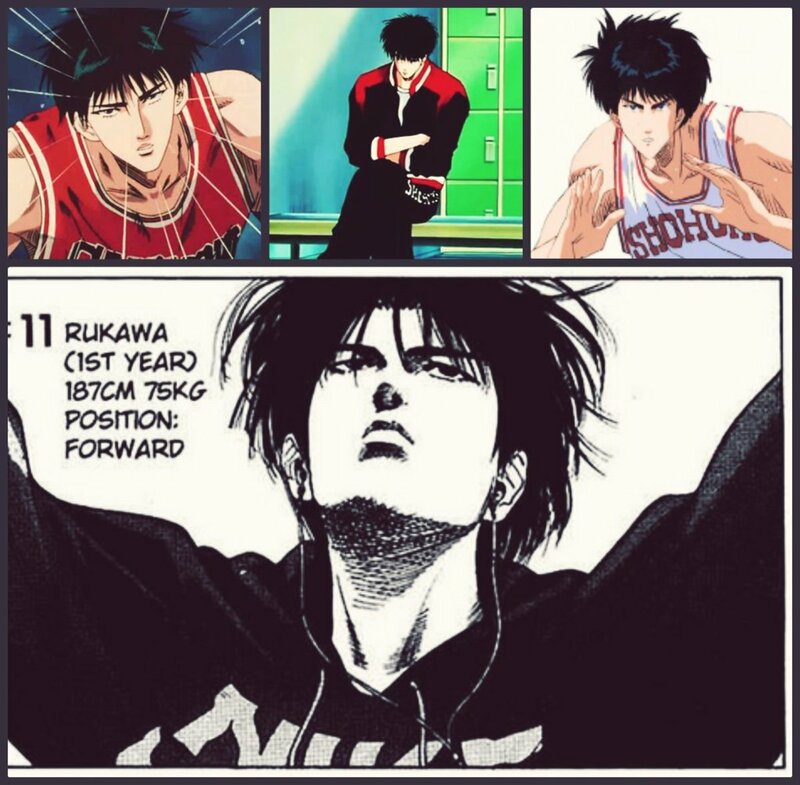 That is actually what we all are craving for in an action anime. As I’ve said, you won’t need anything else from an anime that is already in possession of high concentrations of pure action. Whether you turn your mind on or off, this show will surely satiate your hunger for overwhelming thrill and action. 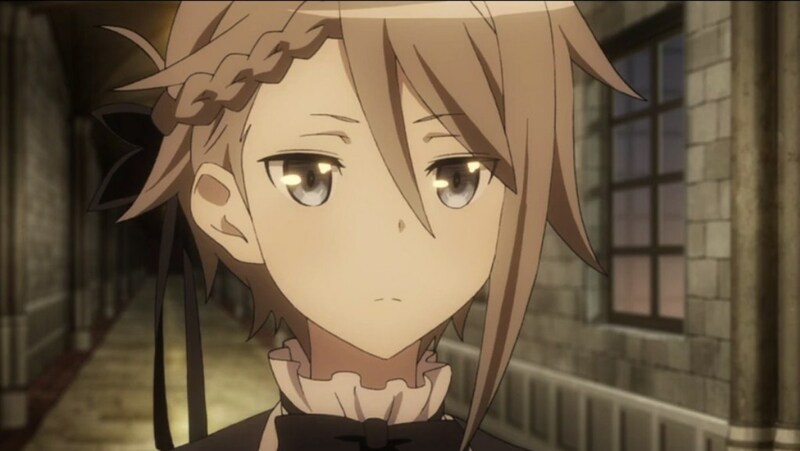 If you start saying that Princess Principal is a slice-of-life anime with moe girls comically acting like spies, then be certain that I will stop you right on your track! Gosh, what were you thinking?! It’s best not to judge an anime show based on its title and cover. Though you might not believe it first, Princess Principal is sure enough one of the best action anime of 2017. Princess Principal is not your typical action anime about spies and their sneaky dealings. Like a respectable spy, it flies off the radar, albeit too much! The fact that five young lasses act as the main spy characters of this show was meant for you to lower your guard. Another conclusive proof of its efficiency in undercover is that only a few knows about it. You might say it’s just understandably underrated, but you would be wrong with that assumption. As Princess Principal gushes exciting espionage and operative stuff, it does its job flawlessly well to get you hooked. The suspense, the thrill, and the action—all synergizes in order to create the perfect plan! Now that you’ve come to know the existence of Princess Principal, it’s best for you to just watch it and indulge yourself in the prodigious cloak-and-dagger experience it caters. Which of the titles listed is your favorite 2017 action anime?